Jon practices intellectual property law with an emphasis on patent litigation and counseling, and has extensive experience in the medical device, shooting sports and agribusiness areas. As part of that practice, Jon has represented two of the world’s largest medical device companies in both litigation and counseling. Among recent successes, Jon has counseled developers and manufacturers of catheter-based cardiac devices and stents in numerous infringement cases, and has assisted a prominent crossbow company to early and successful resolutions of several infringement lawsuits. He has also developed positions on patents and performed diligence related to implantable and external devices for several leading innovators of medical solutions, including one with nearly $8 billion in annual revenue. Jon also conducts IP-related due diligence in the context of mergers, acquisitions and freedom to operate reviews, including both patent and license reviews and analyses. As a registered patent attorney, Jon has also represented a crossbow company in relation to multiple inter partes review (IPR) challenges to the Patent Trial and Appeals Board. Jon draws on his background and experiences growing up on a seed farm in North Dakota for his work with both large and small agribusiness and energy/engineering companies. As part of that work, Jon has represented several companies in relation to license agreements and patent counseling. His farming background led him to pursue an undergraduate degree in mechanical engineering, and before and after earning his undergraduate engineering degree Jon leveraged his agricultural background with his technical training when he worked with an interdisciplinary team at NASA. As part of that team, Jon designed and analyzed the thermal components of an agricultural camera (AgCam) that was installed on the International Space Station. The AgCam was used to monitor the status of agricultural land, ultimately helping farmers determine appropriate irrigation, pesticide, fertilizer and other interventions to increase crop yields. Jon’s rural farm background also instilled in him a passion for the outdoors, especially including hunting and shooting sports. From building tree stands and customizing rifles to reloading ammunition and fletching arrows, he grew up enjoying many aspects of shooting sports and remains an avid hunter and recreational shooter. Jon has a particular interest in intellectual property issues related to firearms and archery technology. Jon has also represented clients in litigation with respect to other disciplines as well, including Hatch-Waxman litigation involving method patents and compound patents related to brand-name and generic medications for the treatment of gastroesophageal reflux disease (GERD), sleep disorders, attention deficit hyperactivity disorder (ADHD) and other conditions. 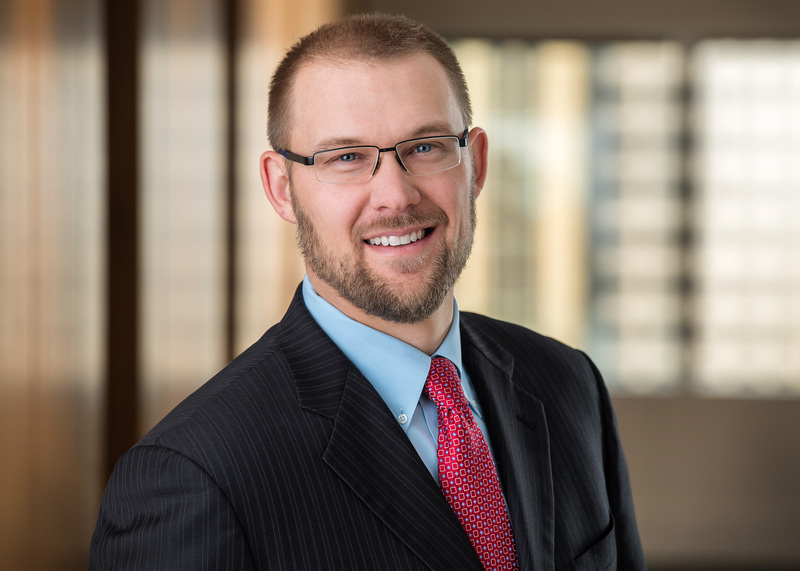 Prior to joining Carlson Caspers, Jon was a law clerk for the Honorable Chief Judge Daniel L. Hovland in the United States District Court for the District of North Dakota. While at law school, Jon was the Outside Articles Editor for the North Dakota Law Review and published on intellectual property law.